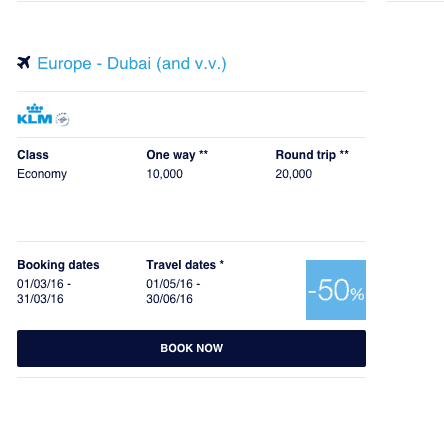 The monthly KLM Promo awards are out for this month. 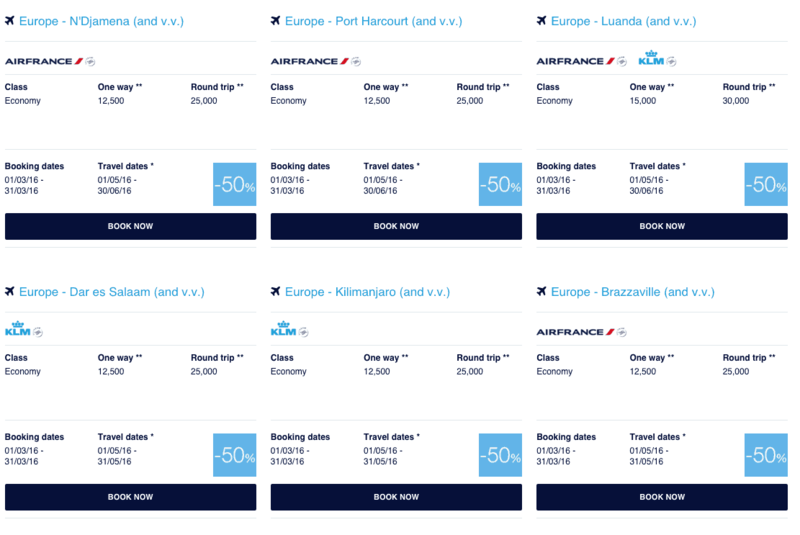 Every month KLM shares discounted redemption routes around their network. Sometimes there are good deals others not so good. Since June is the month of Ramadan some might want to have a pre-Ramadan stay in the Middle East or even during Ramadan. Most of the offerings are for business class with Doha and Bahrain at 50% discount making it a round trip of 50,000 KLM miles. Not sure I would take this unless I have the miles because their business class on this route is not fully flat bed. 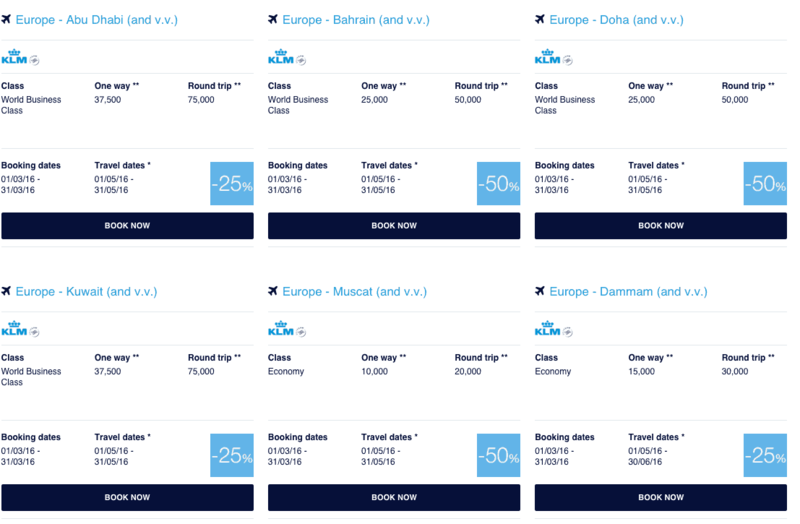 Dubai is a good deal with 20,000 return miles plus taxes from the UK are cheaper.Another good deal of this month’s offerings for me is Dar Es Salam and Kilimanjaro which are discounted at 50%. 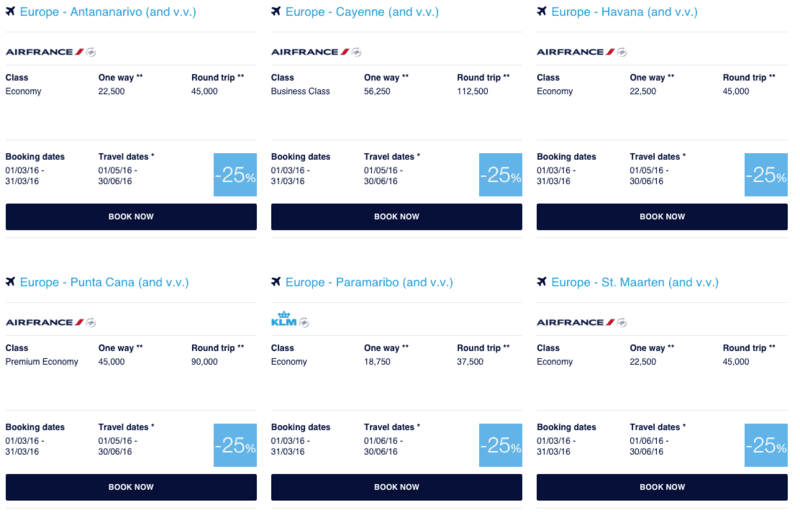 KLM also doesn’t add extra for the connecting flight to Amsterdam and taxes are lower than BA. Africa has some good deals especially the Dar Es Salam and Kilimanjaro options which are 50% discounted. As Muslin friendly countries it is a destination I want to visit very much. Last month it was 25% this month they are 50% so it might just be enough to help me make a decision and visit. 🙂 Majority of the African destinations are discounted at 50%. South American options are discounted by 25% this month. 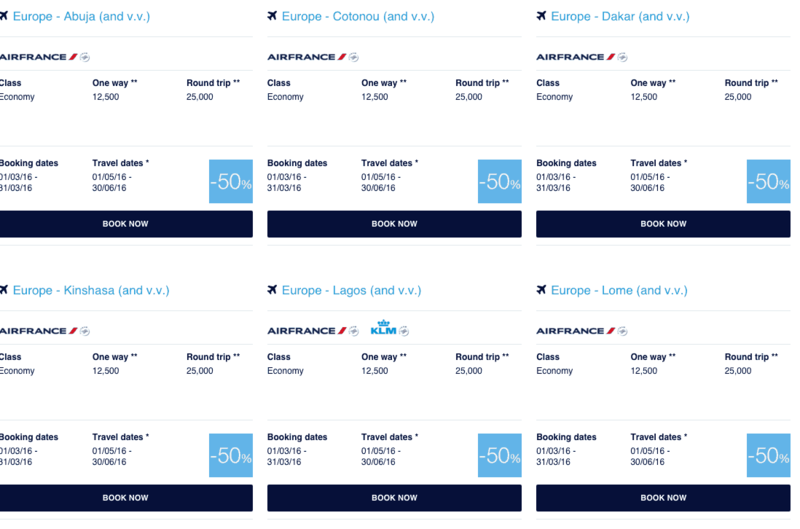 North America doesn’t have any notable options and all of them are in business class and with 25% discount. I guess summer in North America is popular. 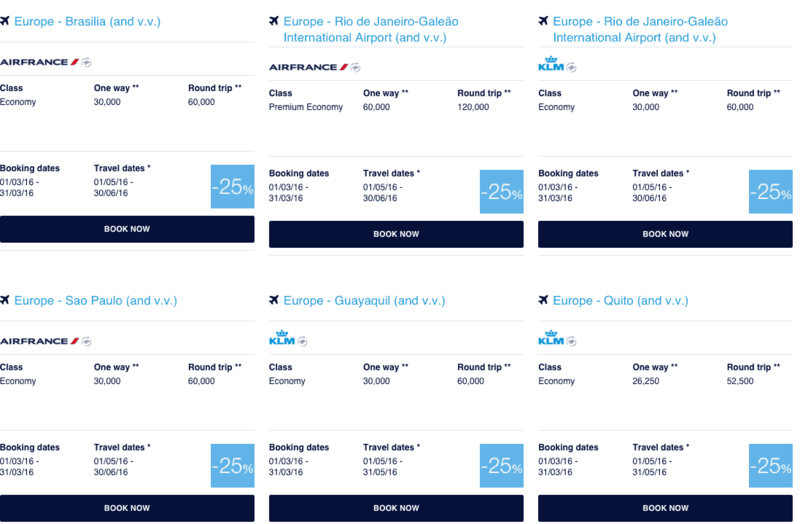 Caribbean has the same destinations as last month however they are in business class or economy with 25% discount.